Electronic Arts is bringing a new update to The Simpsons: Tapped Out. In this update you’ll try and attract tourists to the “cesspool” that is Springfield. In the update, Springfield gets a new airport but Mayor Diamond Joe Quimby isn’t happy. Without tourists visiting Springfield, he won’t be able to get kickbacks from the city. However, this is where you come in. 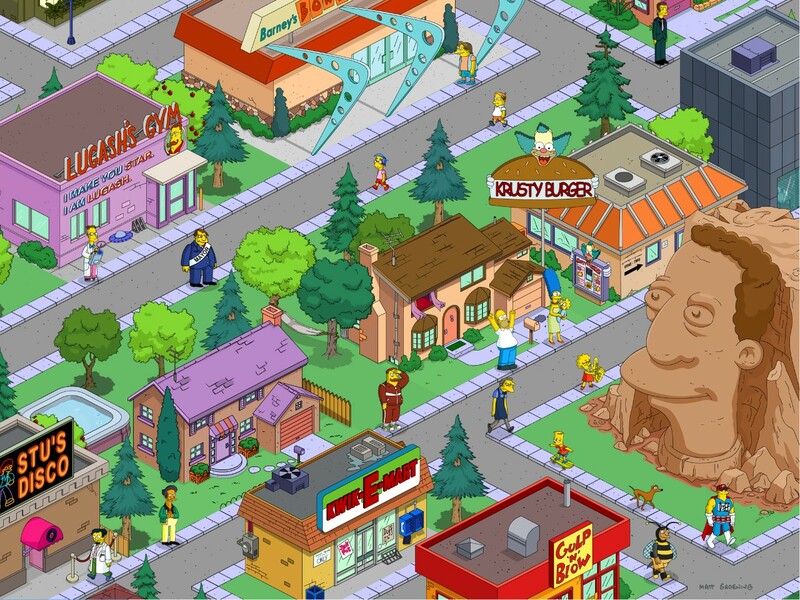 You’ll be able to build your own slice of Springfield into the ideal tourist trap and the way to do it is copy what someone else has already done! Build up Springfield by building replicas of world famous landmarks like the Eiffel Tower or the Ogdenville outlet mall. The Ogdenville Outlet Mall might not be touristy enough but you get the idea. The building of the Springfield Airport allows your Springfield to, in theory, be the hot tourist destination. Building the likes of the Matlock Expressway, the Springfield Monorail, or the escalator to nowhere isn’t going to cut it. You’ll have to bring in the big guns if you want the tourists to visit Springfield so but your architect hats on. There will also be updates to commemorate holidays as well as the Super Bowl so stay tuned for those. The Simpsons Tapped Out is a free download from the App Store/Google Play. Will there be a monument to the Carbon Rod or the Capital City Goofball? You’re trying to get the tourists to Springfield so why wouldn’t they want to see the Capital City Goofball? If this update is truly global, Springfield and Capitol City are like night and day so you should be able to make Springfield like Capitol City, right?